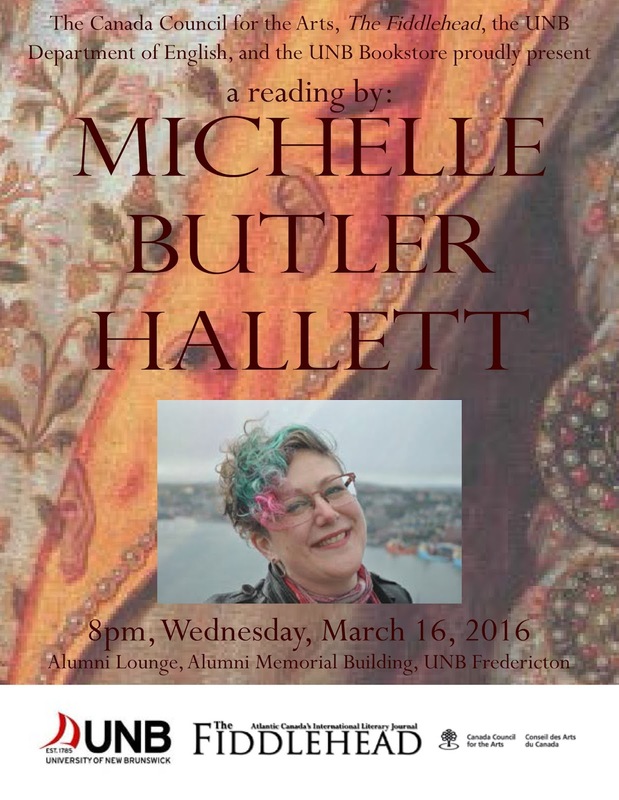 The Canada Council for the Arts, the UNB Department of English, The Fiddlehead, and the UNB Bookstore are pleased to invite you to a reading by Michelle Butler Hallett. 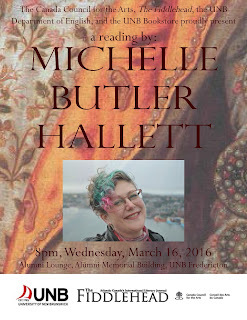 The event will take place at 8pm on Wednesday, March 16th, 2016, at the Alumni Lounge, in the Alumni Memorial Building, on the UNB Fredericton campus. Set in 1593, Michelle Butler Hallett’s This Marlowe reveals two rival spymasters plotting to control succession after Queen Elizabeth’s death. 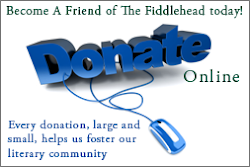 Their schemes depend on Christopher Marlowe, a cobbler’s son from Canterbury, who has defied expectations and become an accomplished poet and playwright. Now that the plague has closed theatres, Marlowe must resume the work for which he was originally recruited: intelligence and espionage. An historical novel with a contemporary edge, This Marlowe measures the weight of the body politic, the torment of the flesh, and the state of the soul. Michelle Butler Hallett is the author of the critically acclaimed novels Deluded Your Sailors, Sky Waves, and Double-Blind, and the short-story collection The Shadow Side of Grace. 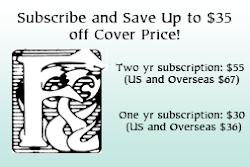 Her stories appear in the anthologies Hard Ol’ Spot, The Vagrant Revue of New Fiction, Running the Whale’s Back, and Best American Mystery Stories 2014. She lives in St John’s, Newfoundland.